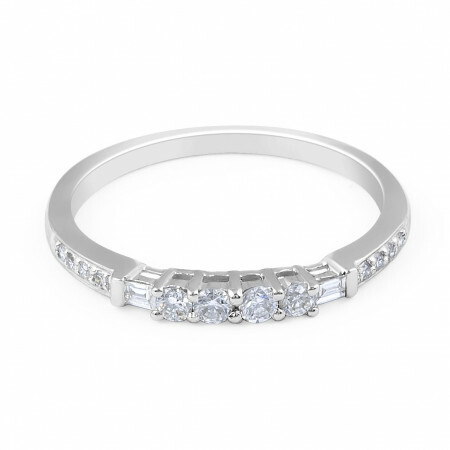 Classic modern design 18 Karat white gold diamond wedding band exquisitely set with 12 sparkling round brilliant diamonds totalling 0.18 carat combine with 2 beautiful baguettes totalling 0.4 carat. 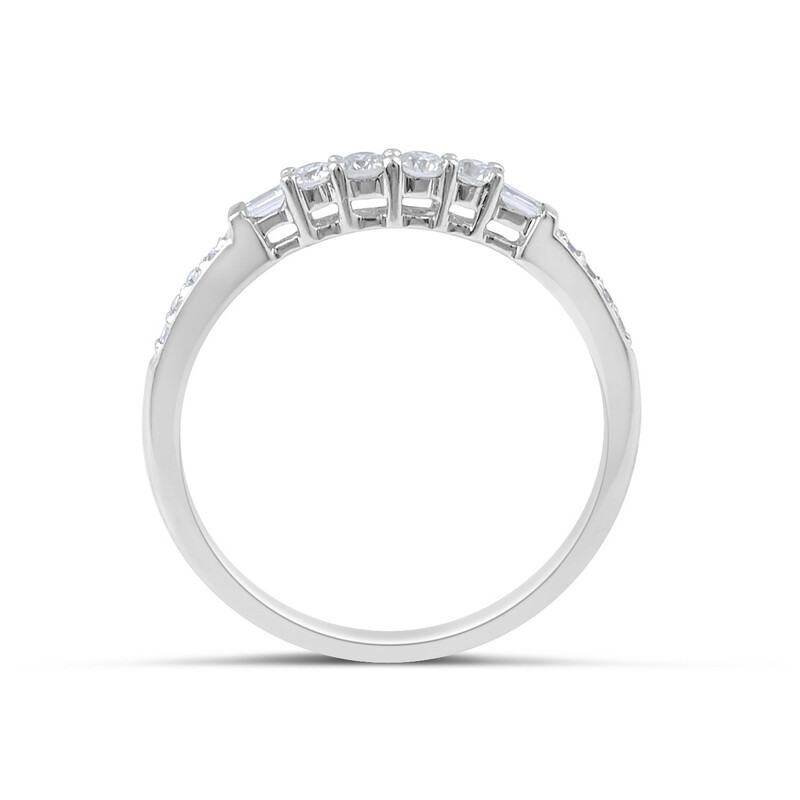 The combination shape diamonds beautifully set on the slim band gives the ring an intriguing and classic finish. 18 Karat White Gold Modern classic design diamond wedding band 4 Round Diamonds: 0.14Carat 2 baguettes Diamonds : 0.04Carat 8 Round Diamonds : 0.05 Carat Gold Weight: 1.64 g Band Width: 1.58 mm.